Olxam » BSNL JE » BSNL TTA (JE) 2016 Admit Card – Download Now! 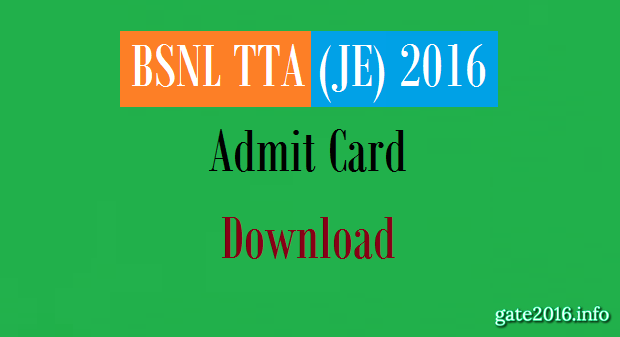 BSNL TTA (JE) 2016 Admit Card – Download Now! 25 September, 2016 to 29 September, 2016. 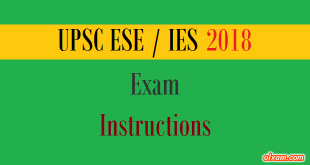 Exam will be conduct in two shifts i.e., Morning Shift & Evening Shift. 1. I have forgot my Registration number and/or Password. What to do ? Check your registered mobile number / registered email-id which you filled while registration. Both Registration number as well as Password would be there. Search it in your message / mail search. Thanks. 2. Yesterday my exam date was 25th September, Today it is 28th September. 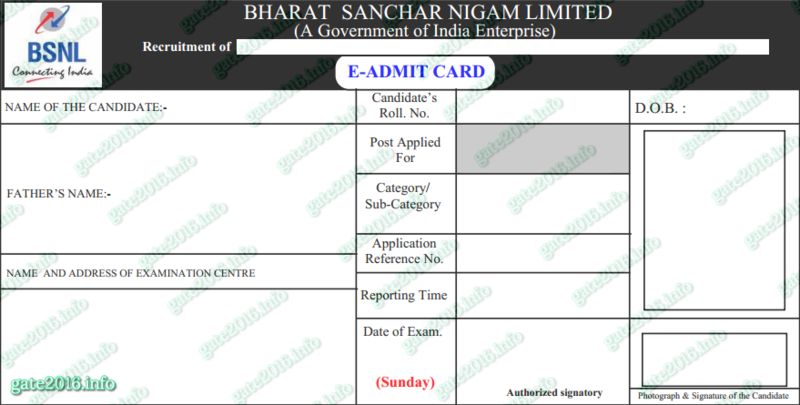 Why BSNL TTA(JE) 2016 exam date is changing in Admit Card ? 3. There is mistake in State name in my admit card. While I filled correct State in the application form. 4. When I am trying to download the admit card it is saying invalid login. I filled all details correct. Wait for few days may be they are still updating data. So those entries in the admit card is being vary. 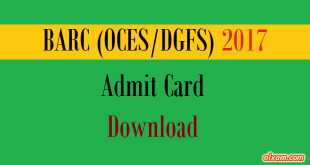 Admit card details generally generated through Database. They don’t define each admit card separately. Thanks. We hope all of you BSNL TTA (JE) aspirants are preparing well for BSNL TTA (JE) 2016 exam. BSNL TTA (JE) 2016 Admit card is now available to download from September 17, 2016. BSNL TTA (JE) exam will conduct by BSNL only at 25 exam centers. The admit card of BSNL TTA (JE) 2016 will be available on BSNL TTA (JE) 2016 official website on the date mentioned by the BSNL TTA (JE) 2016 office. As you all knows BSNL TTA (JE) 2016 is being organized by BSNL after 3 years, Last recruitment was in 2013. Candidates need to visit BSNL TTA (JE) 2016 official website on or after September 17, 2016. 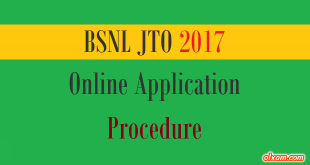 Candidates have to log into their account and download their BSNL TTA (JE) 2016 Admit Card from September 17, 2016. There will be nearly 25 BSNL TTA (JE) 2016 examination centers in 25 states and union territories across the country. 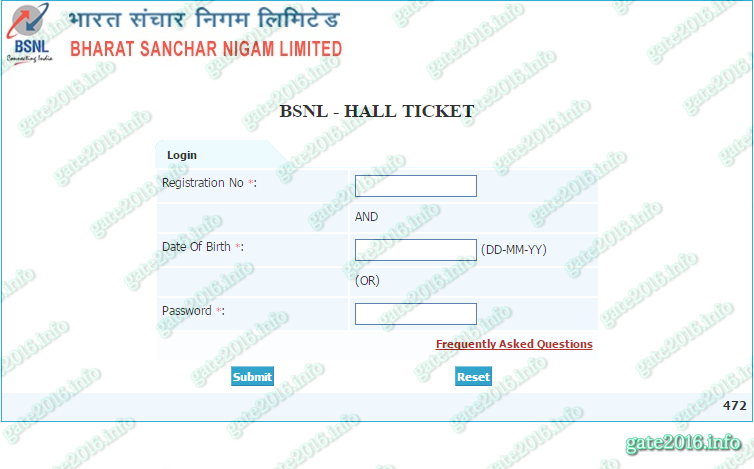 How to download BSNL TTA (JE) 2016 Admit Card ? (2) Enter enrolment ID and password. Sir, I opted my examination centre in Kolkata, but allotted in Meerut , UP , 1400+ km far from Kolkata. Called helpline, but its saying busy. I sent a mail too, but didn’t get any response. First BSNL will mail you on your registered mail id about downloading information of your admit card then only download your admit card. Because BSNL is updating databases so it is happening with many candidates. I hope you are doing this mistake. Almost all candidates are getting examination centre in the state where they fill in the online application form. Jeetjul16 PANDEY is showing, while i filled SURESH PANDEY. Sir i will be able to give exam naa?? I am going alone to give my paper.. There won’t be any trouble naa?? Please help me sir.. Please!!!!! 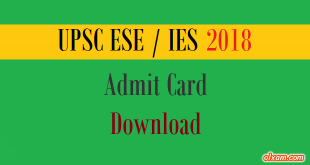 Wait for few days and then download admit card. Although BSNL will message you about downloading admit card. BSNL is still updating database this is why you are getting wrong information filled in the admit card. Date that BSNL messaged you is correct. Download your BSNL TTA (JE) 2016 admit card after few days gap for correct entries. BSNL is still updating their database. In my admit card exam date of bsnl je is showing 29th September 2016 and time 3pm. Is it correct or misprint ? Date that BSNL will message you is correct. BSNL TTA(JE) 2016 exam is scheduled between 25 September, 2016 to 29 September, 2016. In my admit card exam date is printed 29th September 2016, and timing is 3:00 PM. Is it correct or misprint? EXAM DATE : 27 september 2016 Is it tRue ? Or is this a mIstake ! sir actually when I try to download my admit card it is saying invalid login… why this error occure. BSNL is still updating the data bases. BSNL will message you about downloading admit card whenever they will be ready.